The latest colorway of the Lunar Force 1 Duckboot arrives. Temperatures haven't quite started to drop just yet, but it's best to be prepared for the conditions that lie ahead. Enter Nike Sportswear's Lunar Force 1 Duckboot, which is now available in Team Red. The deep red cue covers the rugged high-top's waterproof upper, including embossed detailing on the toebox. This colorway gets a nice touch of contrast through the use of a beefed up gum rubber outsole. 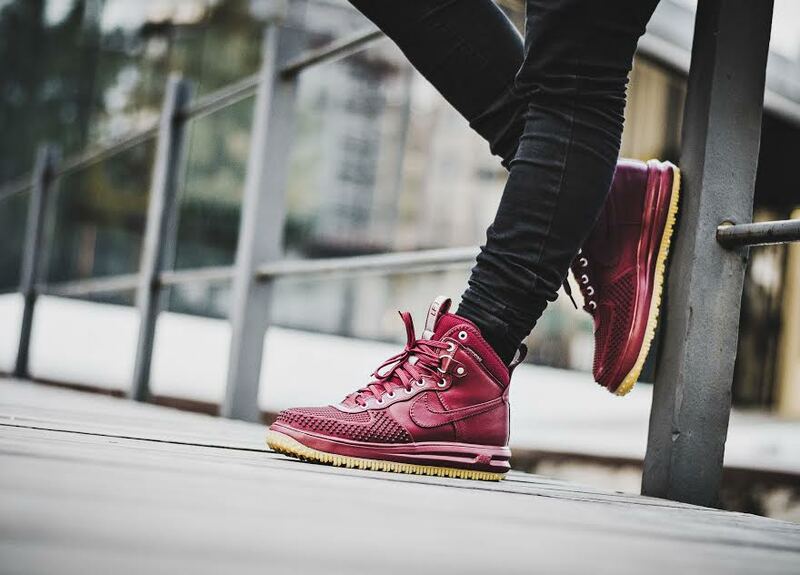 You can buy the "Team Red" Lunar Force 1 Duckboot at retailers like Foot District now.